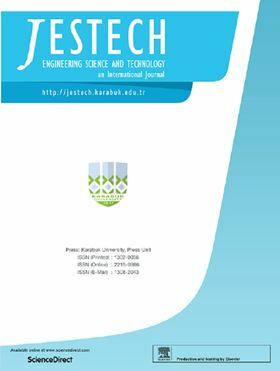 The research article 'Fault diagnosis of a centrifugal pump using MLP-GABP and SVM with CWT' has been published in Elsevier hosted journal Engineering Science and Technology, an International Journal (JESTECH). This paper presents a comparative study of Multilayer Feedforward Perceptron Neural Network which is trained with Back Propagation (MLP-BP) and also using hybrid training using Genetic Algorithm (GA) (MLP-GABP), and Support Vector Machine (SVM) classifiers to classify the fault conditions of a centrifugal pump. Continuous Wavelet Transform (CWT) with three different wavelet functions (Morlet, db8 and rbio1.5) is used to extract the features. GA is also used to optimize the number of hidden layers and neurons of MLP. From the results obtained, MLP-BP has shown better performance than MLP-GABP and SVM using a lower number of features. SVM has performed better using polynomial kernel function using a smaller number of features and parameters. A centrifugal pump test rig has been specifically designed and built for this work in order to create the desired faults. A new type of crankshaft seawater piston pump was studied, the kinematics of the pistons were analyzed and a simulation model established. A Large Eddy Simulation (LES) study was carried out on a centrifugal pump with a vaned diffuser. A method of predicting the steady hydrodynamic performance of a pump jet propulsor. Dual-support vortex pumps have been widely used in various applications in civil aviation, ships, military armored vehicles, and the chemical industries.